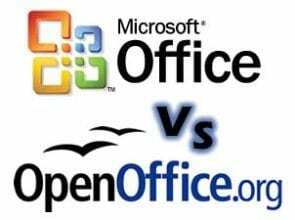 This may seem an unfair comparison, with Office a well-developed Microsoft backed software, and OpenOffice an open source free download. However, because of cost many authors are tempted to take this route. It comes down to the same questions we promised to explore in Part 1, and the issues we explored in Part 2 Mac vs. PC which you can view here. No matter what platform you chose after part 2, or that you currently use, either software is available for PC or Mac. Affordability. This is an easy win for the open source platform. OpenOffice is free, and can be installed on as many machines as you wish. Microsoft Office on the other hand, is not. Suites range from monthly subscription fees (with the relatively new Office 365 at $9.99 per month or $99.00 a year) to 139.99 for Office Home and Student all the way up to 399.99 for Office Professional. (See the Office buy page here) We’ll tackle which office suite you actually need later on, but suffice it to say that vs. the zero cost for OpenOfffice (downloadable here) the affordability choice is clear. The OpenOffice suite contains Writer for document creation, Calc for spreadsheets, Impress to create presentations, Draw to produce diagrams and illustrations, Base for database creation and manipulation, and Math to perform mathematical equations and advanced functions. There is no e-mail client, although there are other options to manage mail. This is the equivalent of $200 of Microsoft Office software, or the new Office 365 subscription. This alone explains why authors everywhere have chosen to use OpenOffice for years. Millions use it worldwide, although Microsoft still dominates the business market. Learnability. Both software suites have very friendly user interface modules, and offer user guides and tutorials. Because of the corporate backing of Microsoft Office and its corporate backing, there are more tutorials and support materials available. That being said, OpenOffice works on a very simple platform, and there are many forums and manuals available on line. The manual for the new version is available here, but is still in the draft stage. The OpenOffice User Interface is very similar to Office. 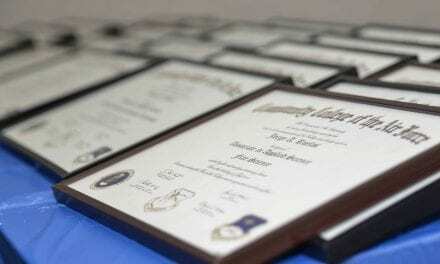 If you are a longtime Office aficionado, you will be up and running in no time. In this category, Microsoft has the edge, but not by much. The only reason it edges OpenOffice is its widespread use and readily available educational support. Office has been king for a long time, and it will take time and innovation to unset it from the throne. However, remember when Word Perfect was the standard? Many of us struggled with the adaptation of the business world to Office. It is possible that another shift could take place, but more on that next. Compatibility. Microsoft wants you to use their products and the plug ins and accessories for them exclusively. So there are times when quite deliberately they make it difficult for other programs to be compatible. It’s not cruel, it’s just business. That being said, let’s look at the issue in detail. 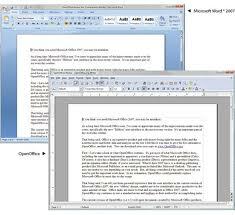 OpenOffice can open Microsoft Documents, even the new .docx formats, although occasionally some formatting or coding is lost in the transfer. OpenOffice can also save documents in the various Word formats. Its other components can open Microsoft formatted documents as well, with similar caveats. Word can also open and save in OpenOffice formats. Most features are compatible, and if you are doing simple memos or completed reports back and forth, it works well. Sounds perfect right? Before you download it and delete Word from your computer read on. One of the primary features I use in Word as an editor, and even in my work on research and technical writing is twofold: Track Changes and Comments. OpenOffice has these features, and so does Office but the two are not compatible. This is based on actual experimentation. If you save an OpenOffice document with track changes and comments, when you open the document in Word they will be lost. It is the same vice-versa. If you have a document with Track Changes saved in Word and you open the same program in OpenOffice, those features will be lost. What does this mean to you? Quite often in business writing and editing, track changes and comments are how the authors and others working on the project communicate. If these changes disappear, a huge communication tool is lost, and it can take precious hours to “explain” things a different way or through more personal contact. The solution? Well, since OpenOffice is free, you could get your client or your editor to download it and run both on their computer, right? Sure, but that creates issues. The programs tend not to play well together on a single PC, requiring finesse to set up default programs and avoid odd clashes between the two. Also, the client then has to remember that when dealing with you, they open documents a certain way as opposed to everyone else. A line on the OpenOffice website says: “Compatible with other file types for those still using Microsoft Office.” That is a large group of businesses, governments, and organizations. Conclusion: What do you need? Microsoft holds the edge here, again barely. As a beginning author you can get by with OpenOffice, but when you enter paying markets it is often desirable to upgrade to the more commonly used Office. In the long run, the headaches it saves you will belay the cost. As more businesses adapt to open formats, and using Google Docs and other open source software becomes more common, it is possible that Office may be dethroned. Even if you do go out and buy Microsoft Office, which of those fancy suites do you really need? We’ll tackle that question in our next segment. OpenOffice isn’t out of the fight yet. Have your own experience to share? Let me know in the comments.